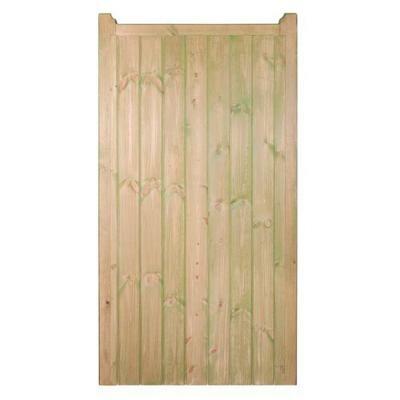 Great value pressure treated wooden garden side gate. Buy online in a choice of sizes. 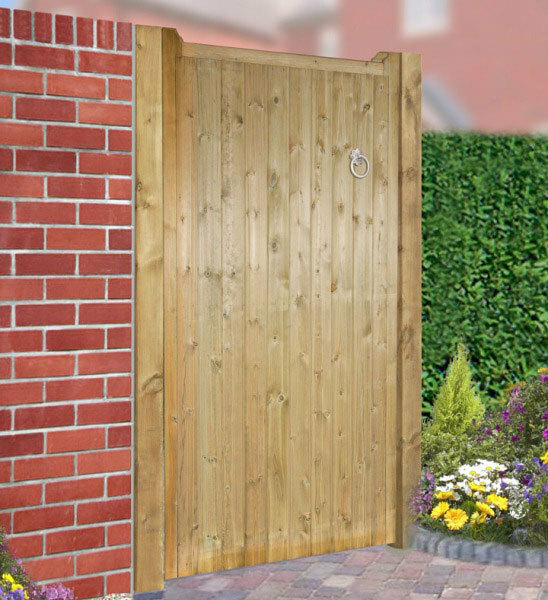 Manufactured here in the UK to a high quality finish the Drayton Wooden Side Gate is an excellent value design that will suit virtually any residential application around your garden or driveway. Featuring a long lasting pressure treated timber construction for better levels of protection against the elements these simple and effective wooden gates are constructed with mortise and tenon joints to provide strength and rigidity and feature additional bracing making them an excellent choice for the security conscious property owner looking to restrict access to their home. Select the gate you need from the drop down menu. 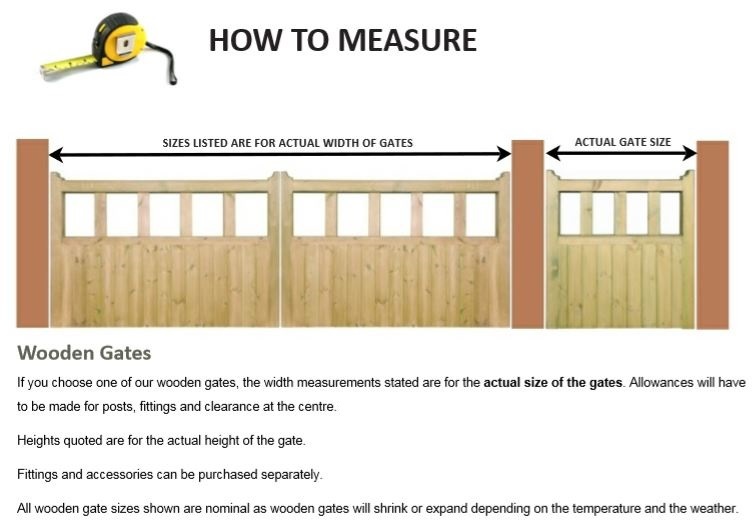 When doing so please remember that the size stated refers to the actual width of the Drayton Wooden Side Gate. No allowance has been made for the additional space you will need to fit the hinges and latch nor have we made any allowances for posts. If you do not know what size to order get in touch with us today for help and advice. Need more information on the Drayton Timber Gate prior to ordering? Call now on 0844 804 5577 and we will be on hand to discuss your requirements. Alternatively contact Garden Gates Direct by emailing sales@gardengatesdirect.co.uk or simply fill in our online form. We have also provided lots of useful information pages to help you through the ordering process so why not take a look at the FAQ`s, buying guide or order guide to see if your query can be answered there. If you need help with installing the gate take a look at the pages detailed below. Looking to order matching gates for the garden or driveway? 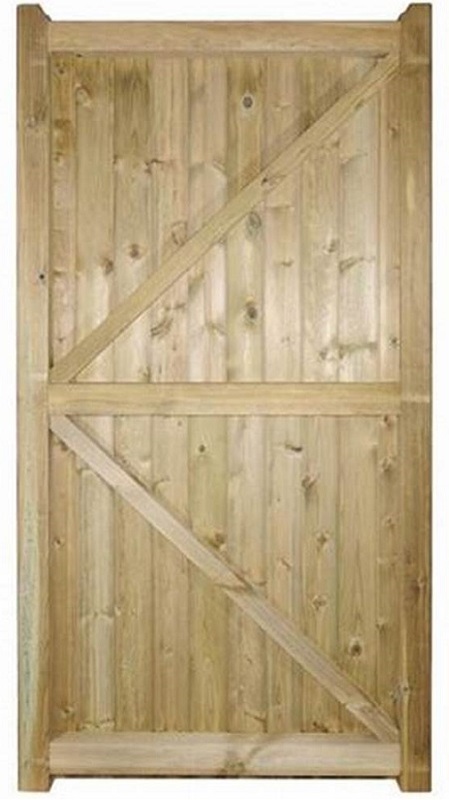 Click the links below to view other timber gates for sale within the Drayton range. If you are looking to order fittings, posts or accessories for the Drayton side gate we recommend the following items. Should you need help and advice or need an accessory that is not shown in the list above please contact us and we will be on hand to discuss your options.